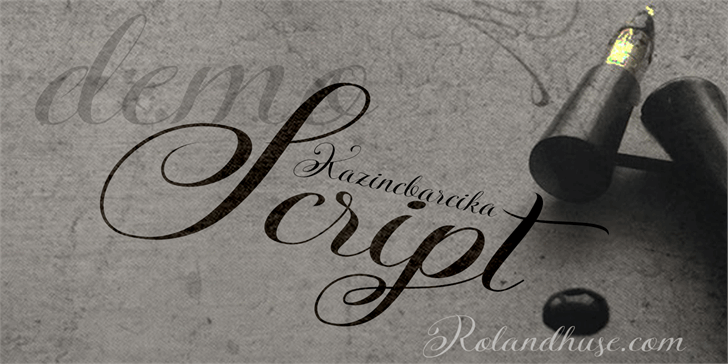 KAZINCBARCIKA SCRIPT is a demo version of a caligraphy font. Copyright (c) 2016 by Roland Hüse. All rights reserved. This is a demo version of Kazincbarcika Script. For personal use only.